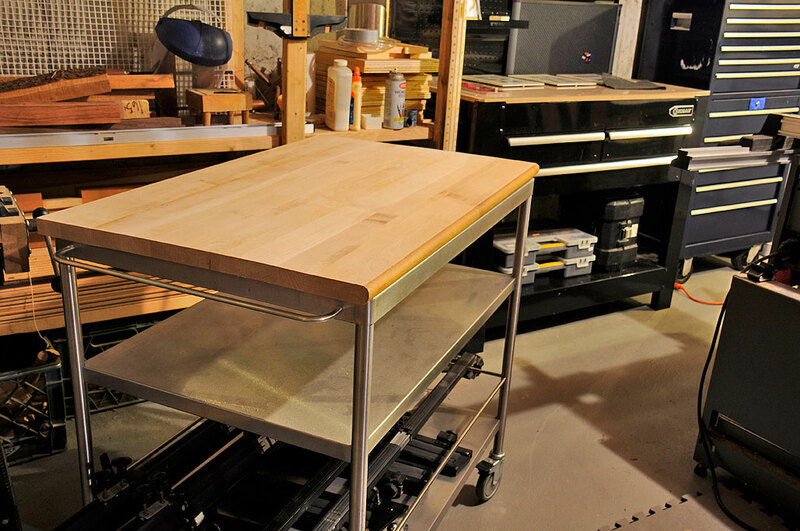 In July we posted a write-up of a butcher-block top DIY project for the IKEA FLYTTA stainless steel kitchen cart. We mentioned at the end of the article that we had a few more things to do to the top before it was ready for duty, in particular refinish the surface and trim the edges. We had the tools to do the rough work, but we needed access to a planer/jointer to square up the edges. So we pinged our fine-furniture maker friend Gary Barsomian and asked if he could help us out. Gary has some heavy-duty woodworking gear at his workshop: industrial tablesaw, 6″ jointer, etc. We trimmed of about a quarter of an inch around the edges, squared them off with the jointer/planer, and removed the majority of the surface blemishes with a a 100-grit belt sander. Once we got the surface prepped, Gary set us up with a Mirka Ceros 5″ random orbital sander and some 400-grit pads for the final finishing. 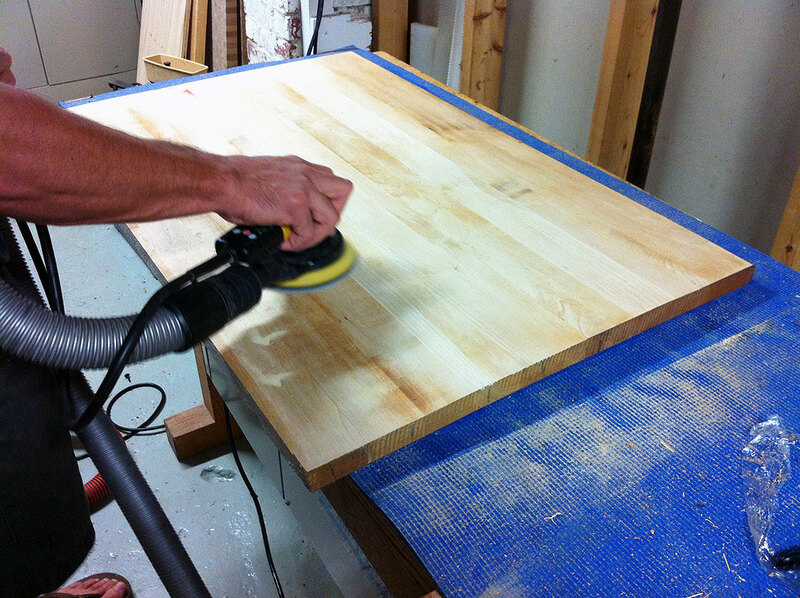 The Mirka is a high-end variable speed sander. The speed is varied by a pressure-sensitive switch just under the palm and can range between 4,000-10,000 RPM. The harder you press, the faster it goes. The fit of the sander in the palm was very natural and it tooks us no time to get the hang of controlling it.